Some of you might have heard of Yuki, but do you know the full story? 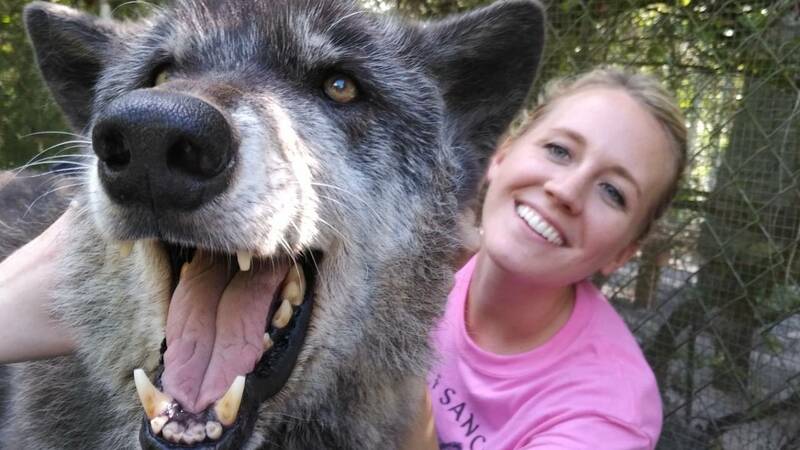 Brittany Allen, of Shy Wolf Sanctuary, with Yuki (photo provided by Shy Wolf). There’s no other word that so accurately sums up this wolfdog: He is ginormous. This is Yuki, by the way. Have you met Yuki? 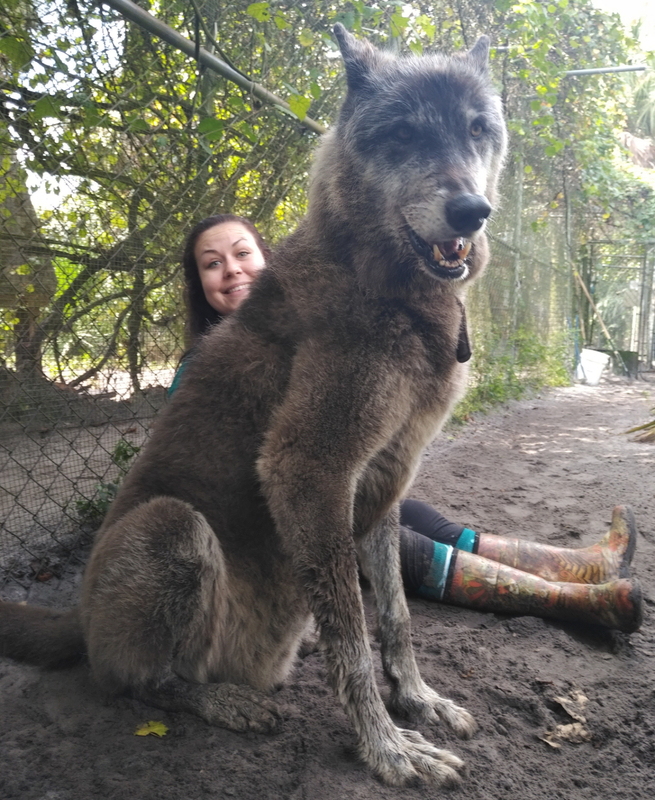 The wolfdog -- yes, that’s a real thing, not just some magical creature in a “Harry Potter” book, and we’ll get into those details soon -- is quite popular on Instagram, seeing as Brittany Allen, a volunteer at the Shy Wolf Sanctuary in Naples, Florida, just loves posting pictures with this good boy. In fact, one of her recent posts, a short video clip, had collected nearly 82,000 views, at last check. Allen has also clapped back at commenters who say Yuki’s photos have been altered. And yes, Yuki is most certainly real, insists the animal sanctuary that now cares for him. Yuki arrived at Shy Wolf in 2008, after becoming “too much” for his previous owner. This is very typical, the sanctuary said. He was first dropped off at a kill shelter before transferring to Shy Wolf. 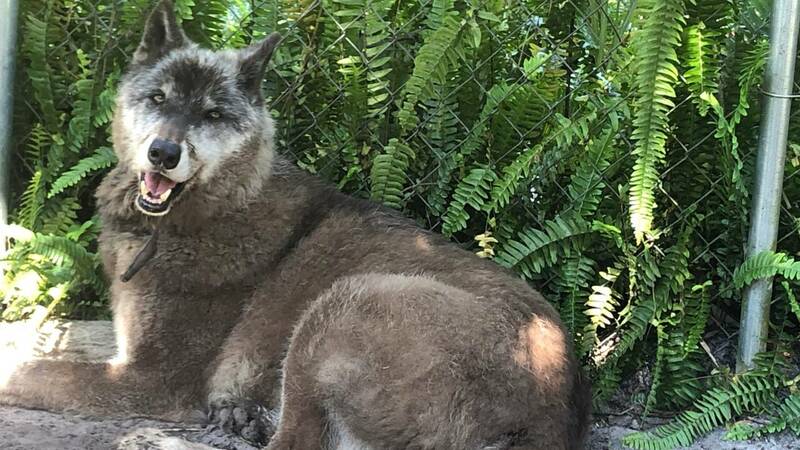 Shy Wolf ran a DNA test on Yuki, for what it's worth, and confirmed his breed: 87.5 percent gray wolf, 8.6 percent Siberian Husky and 3.9 percent German shepherd. 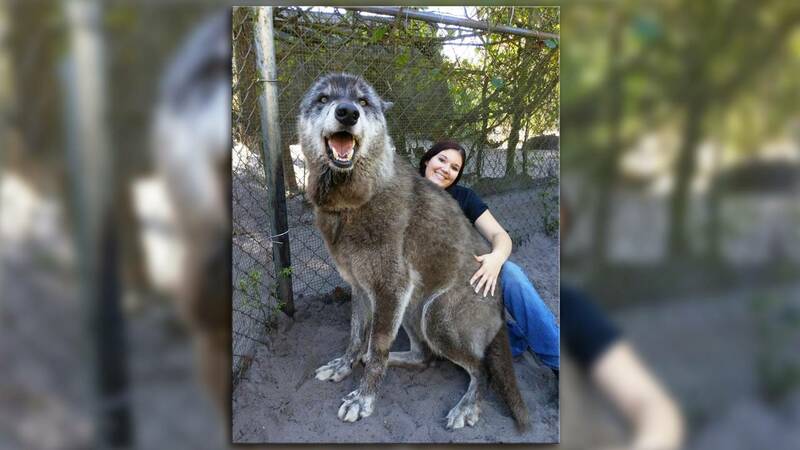 A wolfdog is simply a breed mix of wolf and dog -- just like it sounds. Yuki’s DNA test didn’t come as much of a surprise to anyone at the sanctuary. “We (knew) he would be close to pure wolf,” Shy Wolf said. Yuki weighs about 120 pounds. As for how much he eats, Yuki consumes up to 10 pounds of raw meat four times a week -- so up to 40 pounds each week. Yuki lives with a female wolfdog named Bella. Yuki is bigger, but surprisingly enough, she’s the dominant one, officials said. Yuki is almost 12 years old, so when he isn't doting on one of his favorite volunteers or being fed, he spends his time relaxing in the sun and responding to people as they walk by. The wolfdog loves Allen, along with a small number of female volunteers. He seems to live a great life, day to day. The sad news is, Yuki is not in great health, but the sanctuary said what would bring him the most joy would be the simple pleasures of a larger place for him to roam and play with his darling Bella and all the other animals. Anyone who wants to support Yuki and his friends can do so through a GoFundMe page set up by Shy Wolf. 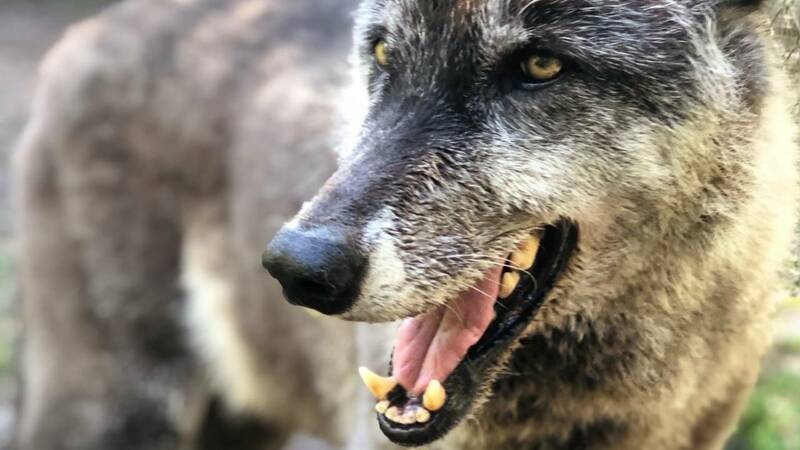 As for wolfdogs, considering the sanctuary specializes in the breed, officials at Shy Wolf are often asked about common misconceptions.